Below you’ll find a selection of current and finished projects within the fields of urban design/urban planning, sustainable mobility planning, cartography/GIS and moderation/participation. If you’re interested in details about specific projects or if you wish to realize your project together with us, don’t hesitate to contact us. A complete view of our current activities can be found at our news page. In september 2015, an international conference titled "Vienna - Budapest - Szeged. A Ringstrassen Conference" was held in Szeged (southern Hungary). The 150th birthday of "Vienna Ringstrasse" and, more commonly, the element of 19th century circular roads within the three named cities were the main motivation for this event. The conference was held from September 30 to October 2, 2015 and was organized by "Institut für Germanistik" of Szeged University in co-operation with many other institutions. Stadtkreation writes an article for the conference proceedings about a project by architect Adolf Loos from Vienna. Next to a central road intersection within Bispingen (Lüneburg Heath, some 50km south of Hamburg) the demolition of an unused building threations the spatial ensemble within the small town. A tourism pavillon replacing the old building, additionally with an exterior design that forms a visible edge of the inner urban space, is a good solution for this problem. Stadtkreation realized urban design and architectural pre-studies for this tourism pavillon in early 2016. Bispingen (within "Lüneburg Heath" region south of Hamburg) is a model case within the flagship project "Brownfield development" of Hamburg Metropolitan Region since 2014. Stadtkreation has been commisioned in spring 2015 with the urban planning and village center design for within the project. In summer 2014, the collaborative project for mass transit ideas called "Linie Fünf" (Line Five) started in Hamburg (www.liniefuenf.de), followed by "Linie Plus | Berlin" (berlin.linieplus.de) in fall 2014, where the new general name "Linie Plus" was used for the first time (www.linieplus.de). Stadtkreation is co-founder and partner of the community-based geofiction project Opengeofiction. We designed the logo and parts of the web presentation and actively participate in the project. 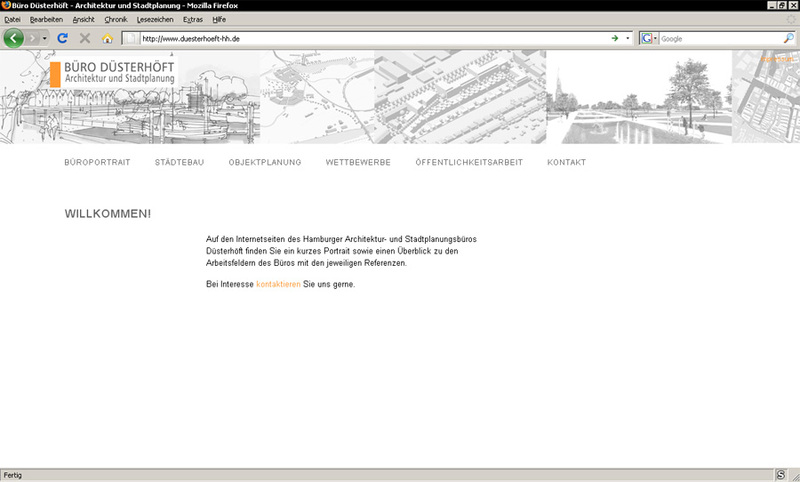 Stadtkreation was charged with the relaunch of the web presentation for the project "Stadtspieler". Design and programming of the new web presentation for the German Academy for Urbanism and Spatial Planning - northern section (DASL Nord). 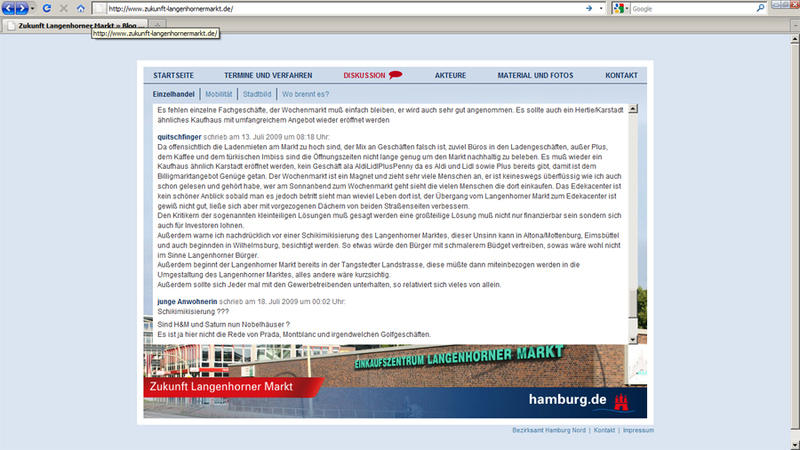 Realization of a participation website for the planned "Pergolenviertel" urban development project in the borough of Hamburg-Nord. 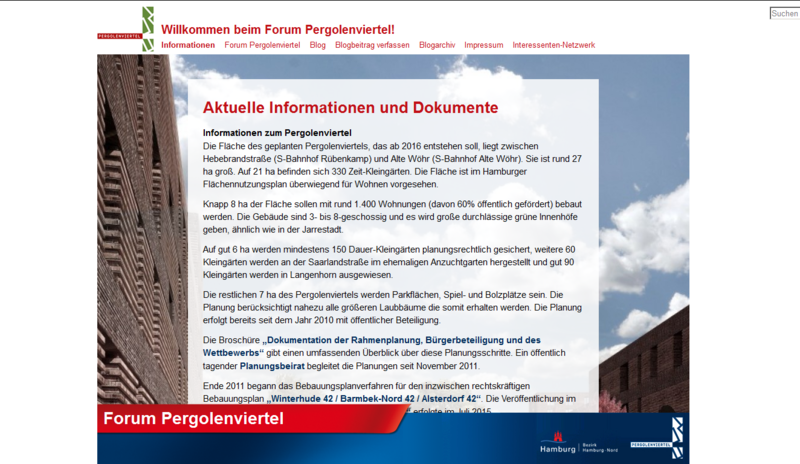 The first version of the website was published in 2012, still under the old project title "Forum Hebebrandquartier". 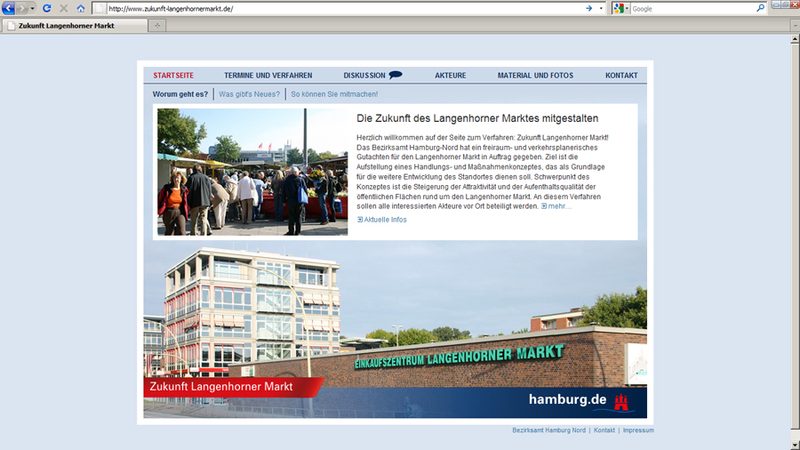 The new design was implemented in 2016, using a flexible Wordpress theme by Stadtkreation that has already been used for several participatory online dialogues. How can planning projects be realized using only free Open Source software? Johannes Bouchain developed and led a workshop about "Open Source Planning Tools" during LASKO 2011 at "Universität für Bodenkunde" in Vienna. 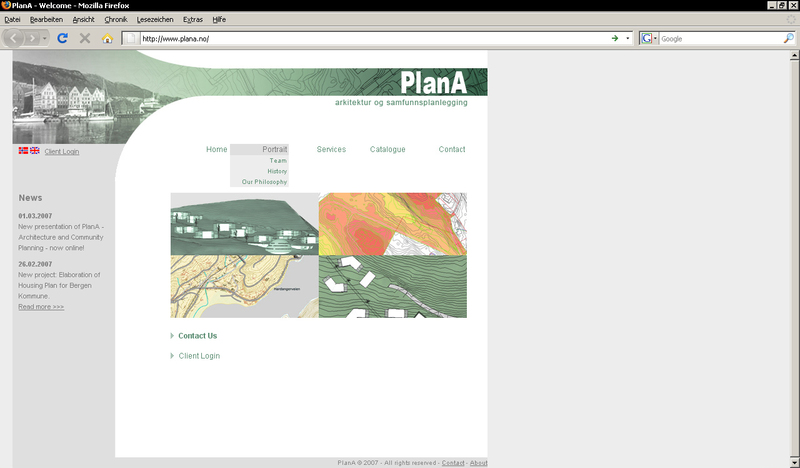 » Presentation for Workshop "Open Source Planning Tools"
» Results of Workshop "Open Source Planning Tools"
Programming and design of the web presentation for für Fusi & Ammann Architekten, Hamburg (CMS WebEdition). Publication of articles for mobility and transit planning magazines. A selection of sources can be found at publications page. Design of a chronological network map of "Hamburger Hochbahn" underground lines (1912-2004).